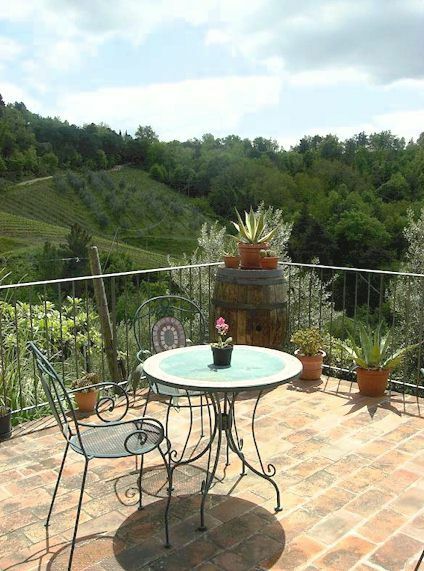 Self-catering vacation rooms and apartments on a Chianti vineyard, each for 2 to 4 guests. Poggio all'Olmo is the name of a tiny collection of farm houses that dates from about 1600. 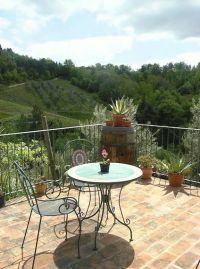 The farm house accommodation is totally immersed in the peace of the countryside, surrounded by 10 hectares of vineyards and olive trees which provide the raw materials for wine and olive oil production by traditional methods. The accommodation located in the main house consists of two double rooms with a private bathroom and a small kitchenette for 4 guests. In the reconstructed hay shed, there are two apartments each with one double bedroom, a kitchen, a bathroom and a living room, from which one can enjoy a truly splendid panorama of the Tuscan countryside. 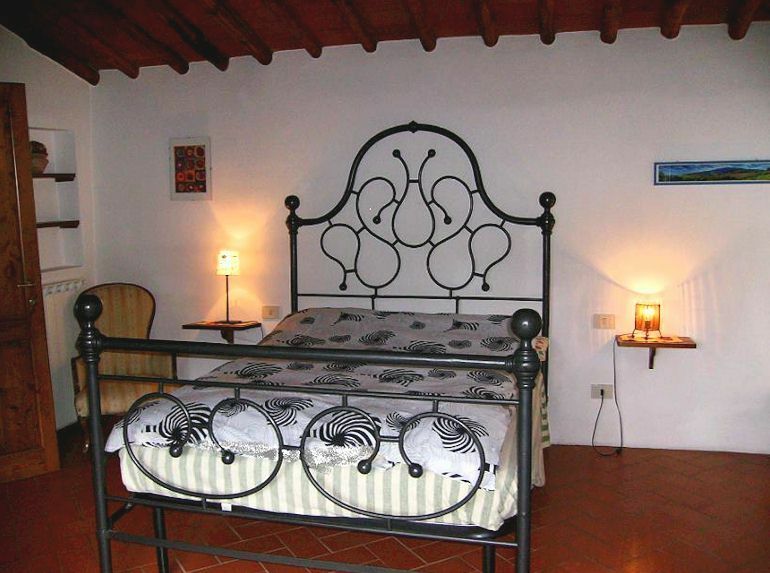 Our rooms have been reconstructed with typical Tuscan terracotta floors and beamed ceilings. The house is distant from the main roads, providing a quiet and relaxing atmosphere. Services offered include to opportunity to buy our Chianti wine and extra virgin olive oil. 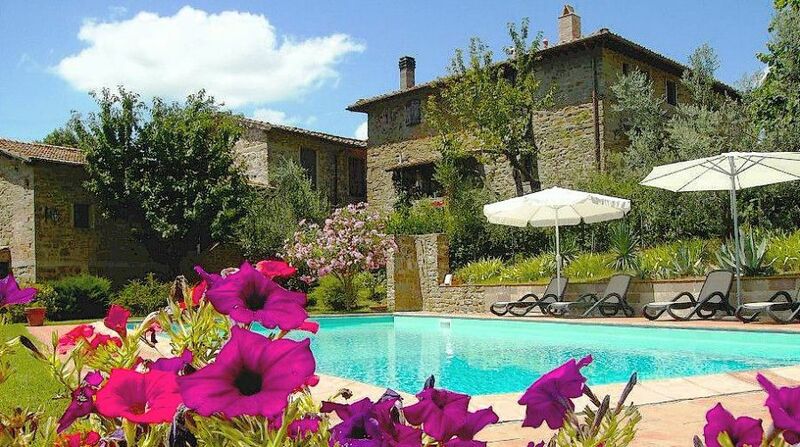 The pool is always open for the guests. 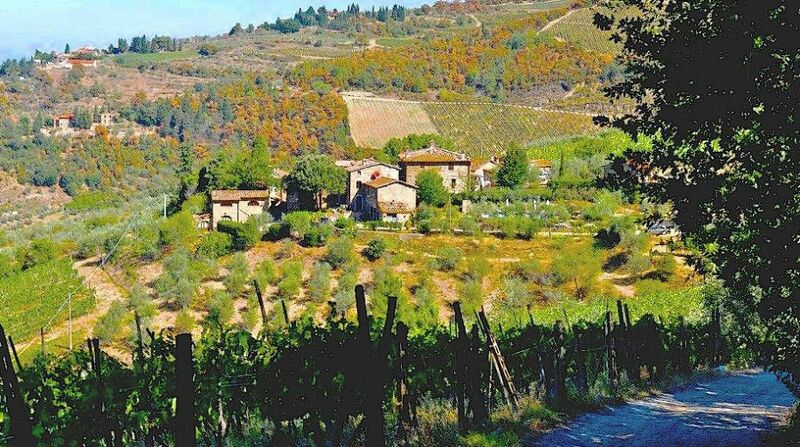 Poggio all'Olmo's location in the hills makes it ideal for excursions and walking. 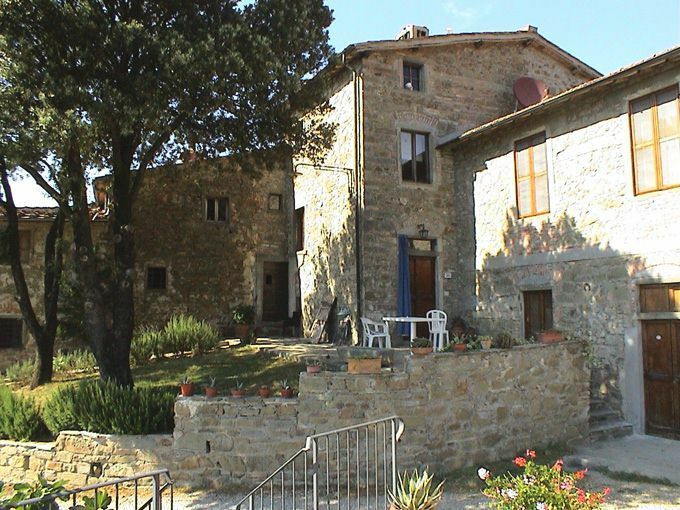 The town of Greve in Chianti is 6 km from Poggio all’Olmo. 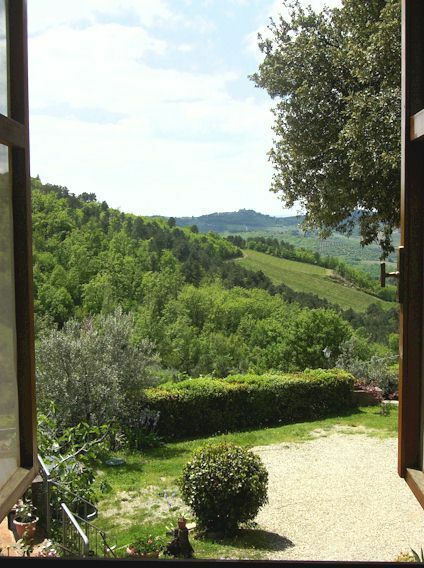 The location is ideal for visits to the historically and culturally important towns in the region, including Florence (25 km), Sienna (35 km) and San Gimignano (30 km). Each apartment has has a well-equipped kitchen. Breakfast is available for 10 euros per person. 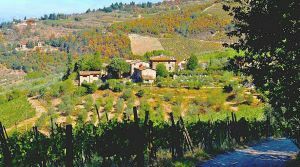 Poggio all'Olmo is closed during November, December and January. Double room € 75 per night, € 455 per week. 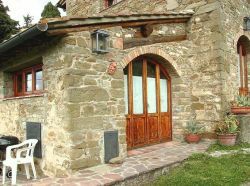 Apartment for 2 persons € 90 per night, € 560 per week. 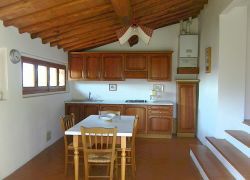 Apartment for 2/4 persons € 100/160 per night, € 630 / € 1050 per week. Additional bed 15 euros per night. Check-in from 2 p.m. to 6 p.m. If you are delayed, please contact us by telephone. In the case of arrivals after 6 pm, please contact us otherwise your reservation cannot be guaranteed. A 50% deposit is required when your reservation is confirmed by us. The deposit should be made by credit card (Mastercard or VISA). In the case of a cancellation made more than 30 days prior to arrival date, 60% of your deposit (30% of the total) will be returned. 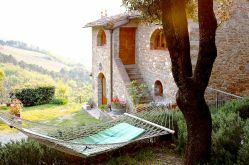 The deposit is forfeited when the cancellation takes place less than 30 days prior to arrival date. Cancellations within 72 hours of arrival date and no shows pay the full amount of the stay. 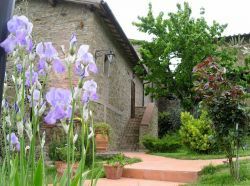 - bedding, bath towel, WiFi, gas, electricity, water, private parking and use of the swimming pool. - breakfast is not included in the price. 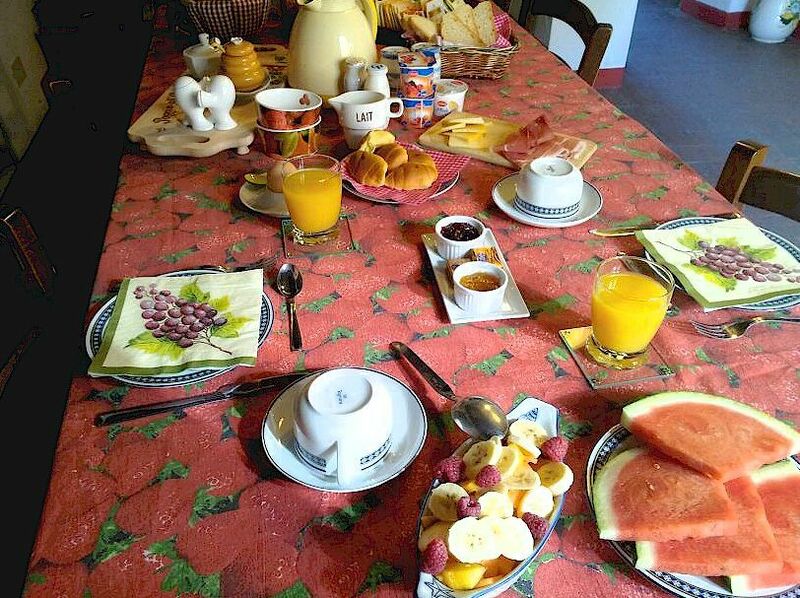 Breakfast for those who would like it costs 10 euros per person. 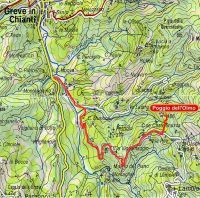 From Florence take state road 222, continue directly through Greve, drive south about 2.5 km and take the turnoff to the left for Lamole. 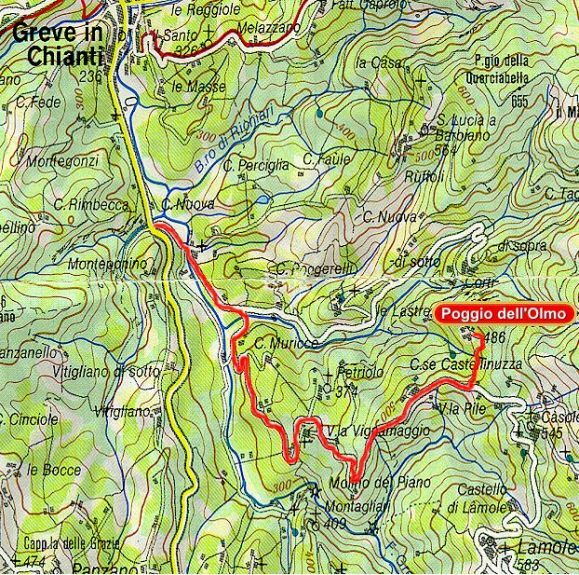 After another 3 km along a beautiful cypress-lined road, about 1.5 km short of Lamole, there is another turnoff to the left which leads within 0.5 km to Poggio all'Olmo. 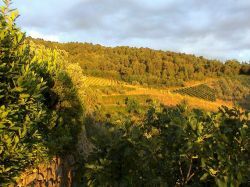 From Sienna on state road 222, after passing through Panzano, take the turnoff to Lamole on the right, 2.5 km before Greve.